These frames are VERY HIGH QUALITY. There is a reason these are slightly higher than others. 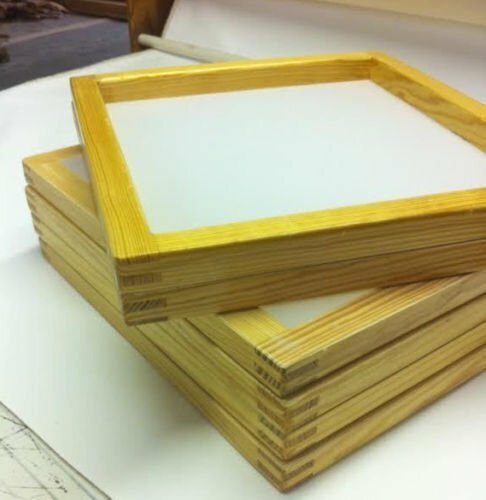 We use the Highest quality mesh and highest quality lumber to manufacture our frames. Beware of cheap screens. After buying please let us know if you want yellow or white mesh. 1.5" X 1.5" Solid wood frames Fast Service- Quick Turnaround Quality Construction Double Poly Clear Coated Double Mortice and Tenon Joints Machine Tensioned Highest Quality European Mesh Made in the USA Sunbelt Mfg. Co.